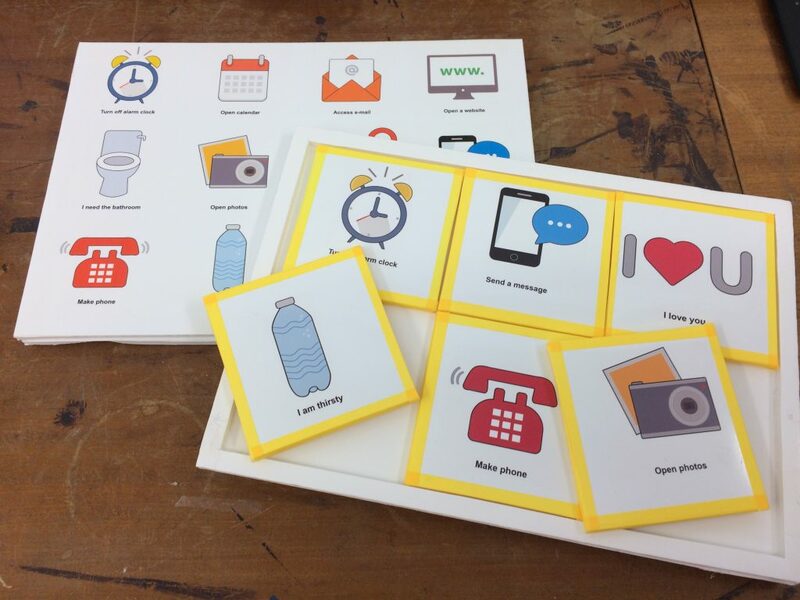 This spring term, our Graphic Communication finalists collaborated with Oxford University Press (OUP) on a digital brief for their Oxford Reading Buddies platform. Students taking our new Advanced Typography optional module were asked to redesign OUP’s Invasive Species title for young readers. 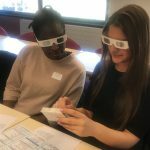 OUP’s brief emphasised accessibility requirements and our students were able to really engage with a range of inclusive design considerations. 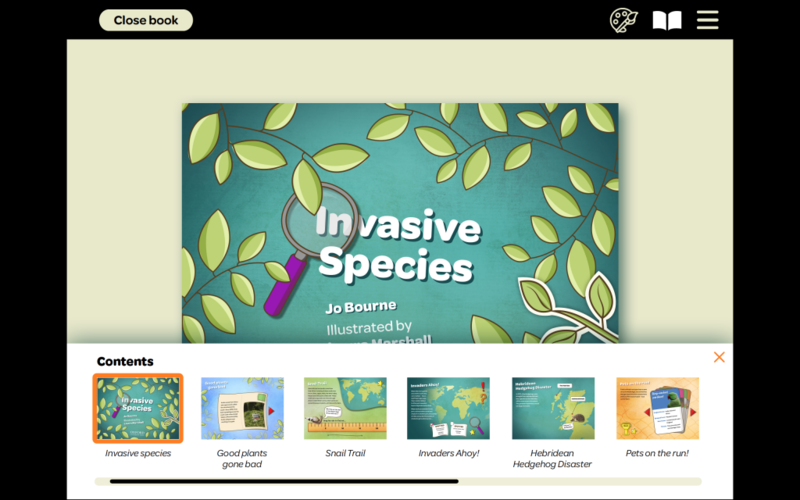 An extract from Laura Marshall’s response to the brief Oxford University Press gave our students to redesign their Invasive Species print title as an interactive ebook. Students were expected to develop visual solutions that would meet web accessibility guidelines (especially in terms of legibility and colour combinations) and come up with a typographic system that would correspond with OUP’s font progression guidelines. 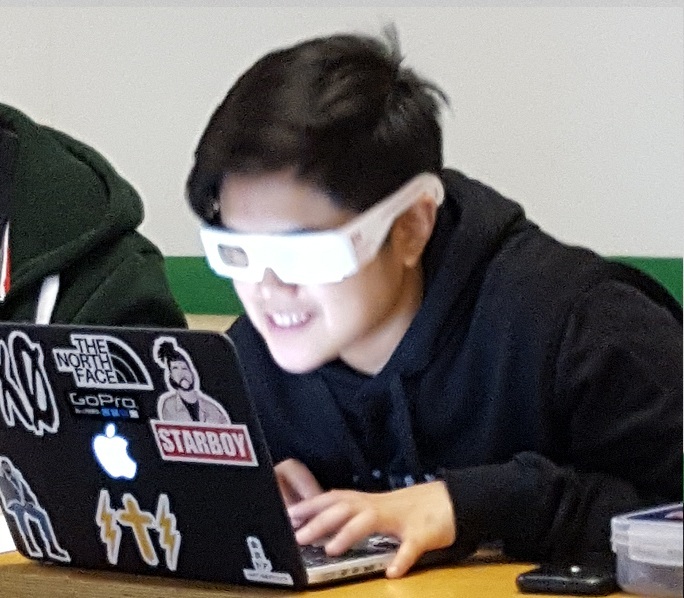 In addition to working towards compliance with accessibility requirements, students also considered ways in which their designs could really engaging with supporting different learning styles and other user needs. OUP’s Head of Design, Primary Product and Schools Marketing, Michelle Campbell and Head of UX/UI Design, Seb Burgess joined us for the project briefing and the very impressive student presentations at the end of the project. 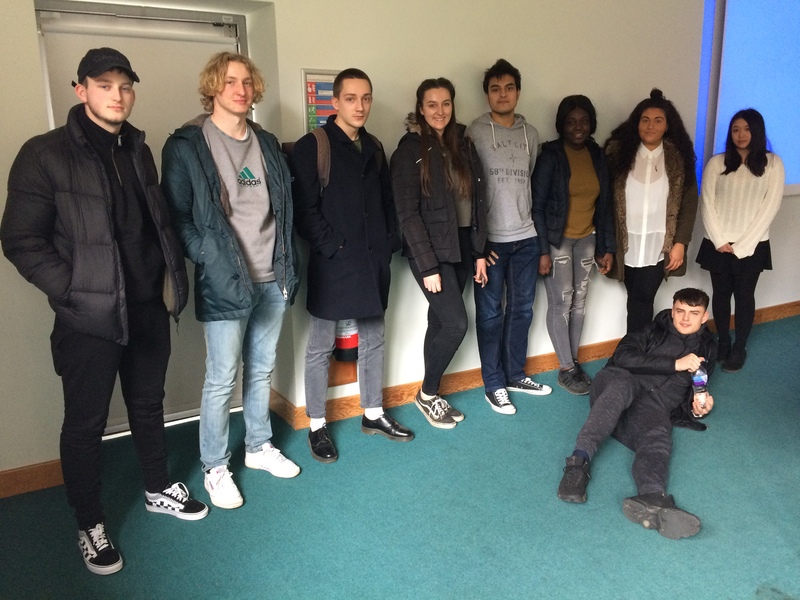 Students on this module also enjoyed a mid-project field trip to OUP, which gave them an opportunity for one-to-one feedback from the OUP team and insight into what a career in a publishing life might entail. Working on a digital brief for young readers gave our students an opportunity to apply what they learnt in their inclusive design workshops last year. It was incredibly valuable for them to realise that accessibility is a key consideration for publishers like OUP. 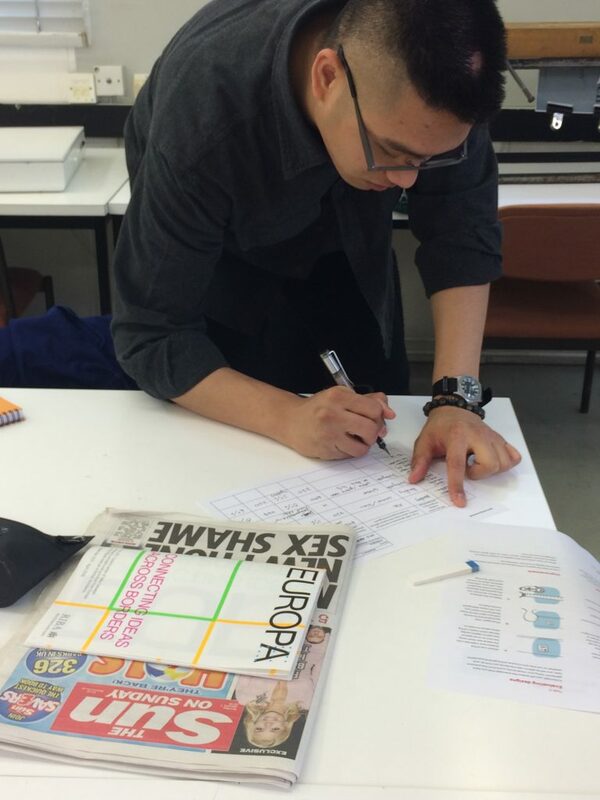 The brief enabled students to bring together their typographic, visualisation and interactive skills in a way that really embraced the user-centred design for reading thinking that underpins our programmes. The Department of Typography & Graphic Communication has run an undergraduate project with OUP every year for the past six years and we were delighted to be able to extend this to a second, digital project this year. This collaboration is beneficial for both the Department and OUP and it’s fantastic to see it evolving in new directions. Staff Disability Network Chair Jason Green has for some time been assisting BdB core member Adrian Tagg with his elective Part 3 Module Inclusive Environments (CE3CIE), Jason is a wheelchair user and has worked at the UoR for a number of years. 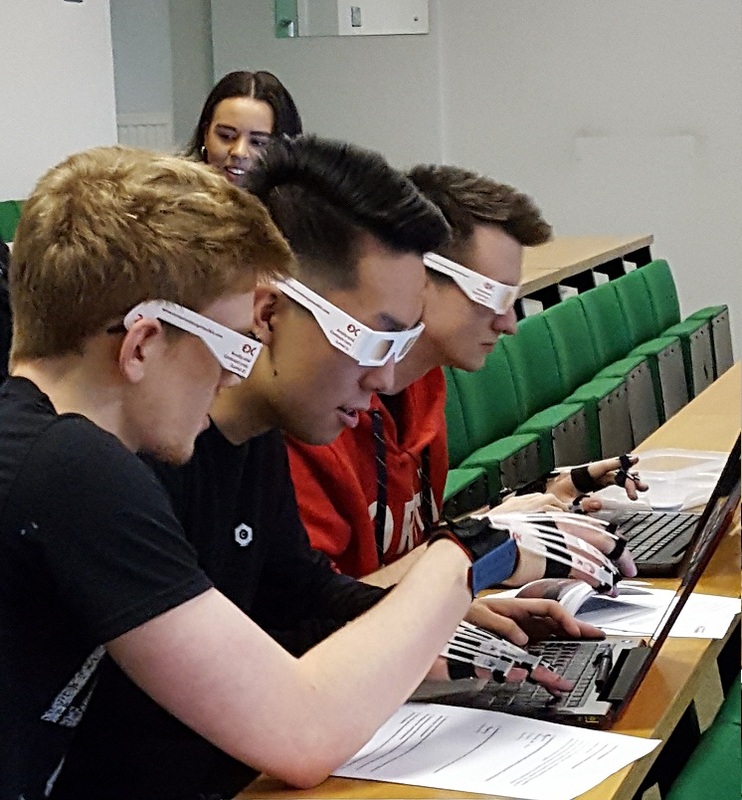 This academic year he has co-delivered a lecture on Transport as well as assisting with practical sessions where abled bodied students use wheelchairs to access the UoR campus in order to help them understand the physical restrictions of the existing built environment. His guidance and advice has been paramount in adding value to student’s learning in the audit and design of buildings to maximise inclusivity. 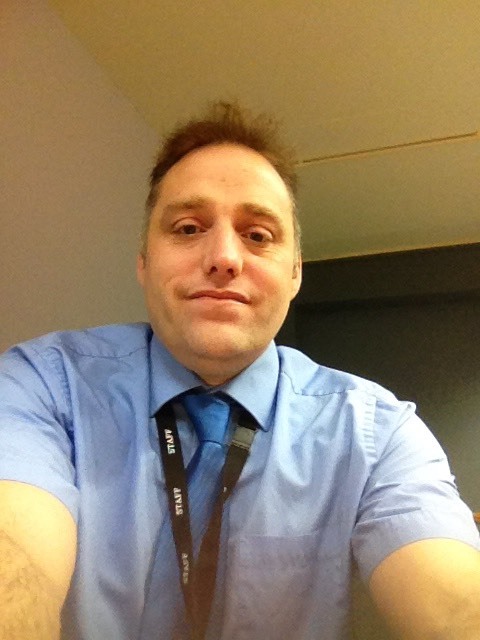 Jason is a published author and he represents staff with disability at the UoR on a wide variety of personal, professional and practical issues. We’re delighted to officially welcome him to the BdB team and look forward to his future positive contributions. On Saturday the 8thof December, Laura Marshall, one of our Part 3 BA Graphic Communication students, presented her dissertation research at the Reading Braillists meeting. 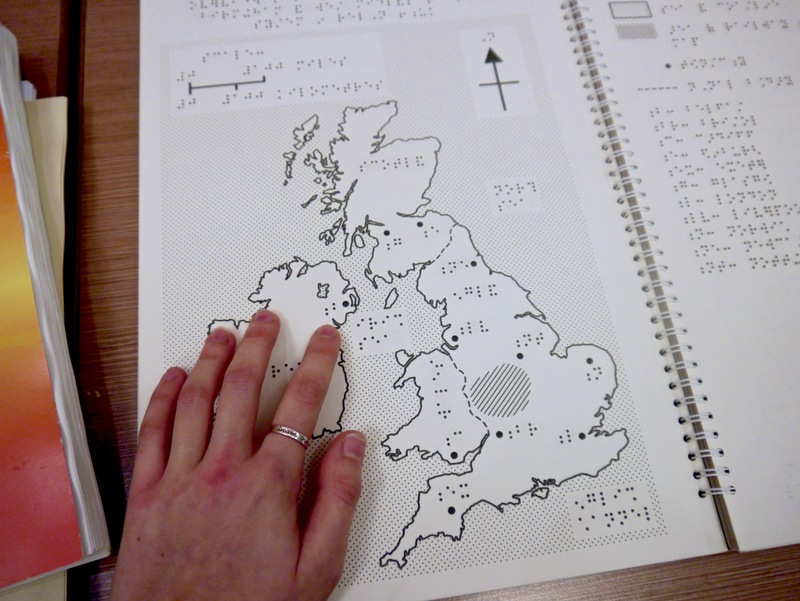 Laura is exploring the role of Braille in today’s society and here she shares her experience of engaging with the Braillist community. Hi, I’m Laura, a part 3 student studying BA Graphic Communication. 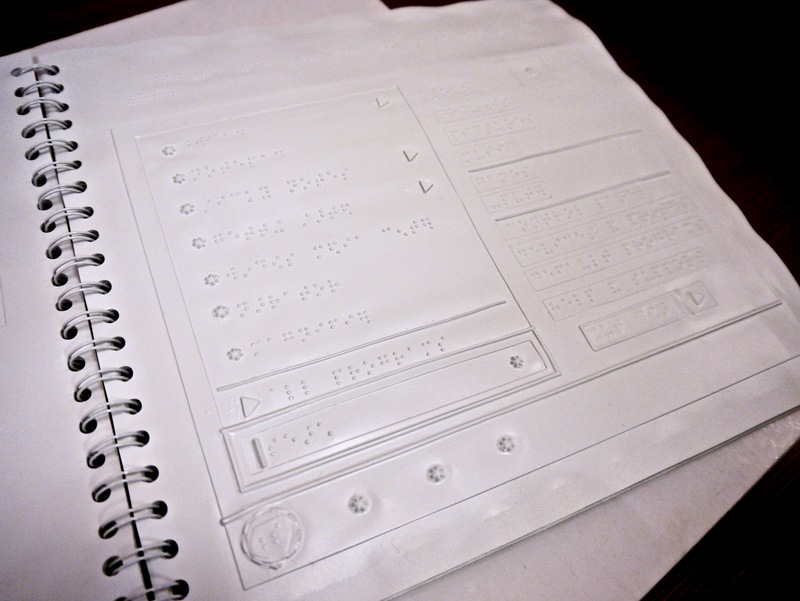 With final year of University comes the writing of a dissertation, and for mine I have chosen the topic“An analysis of Braille’s role in today’s multimodal society, and how technological alternatives are potentially influencing its use.” A large part of my research includes talking to people who use Braille and assistive technology for reading. In the hunt to find participants to take part in an online survey and in face-to-face interviews, I began to engage with the Braillist’s forum. I was invited to their December meeting to present my research and meet some of the Braillists that I had been talking to informally over email. The meeting commenced with my presentation. I talked about my background in Graphic Design, explaining that I was interested in reading strategies and designing documents in a way to ensure they are inclusive as possible. As a designer, the majority of the work I produce is focused on eliciting a visual response in the user / reader, so it was interesting to talk to people with a range of visual impairments, with most of the people there having no sight at all. I also talked about how I am gathering information from people who use Braille and other assistive technologies to explore the preferences and reading behaviours of people who use these reading technologies on an everyday basis. A large part of my research is focused on reading strategies and technology use in different contexts of reading. 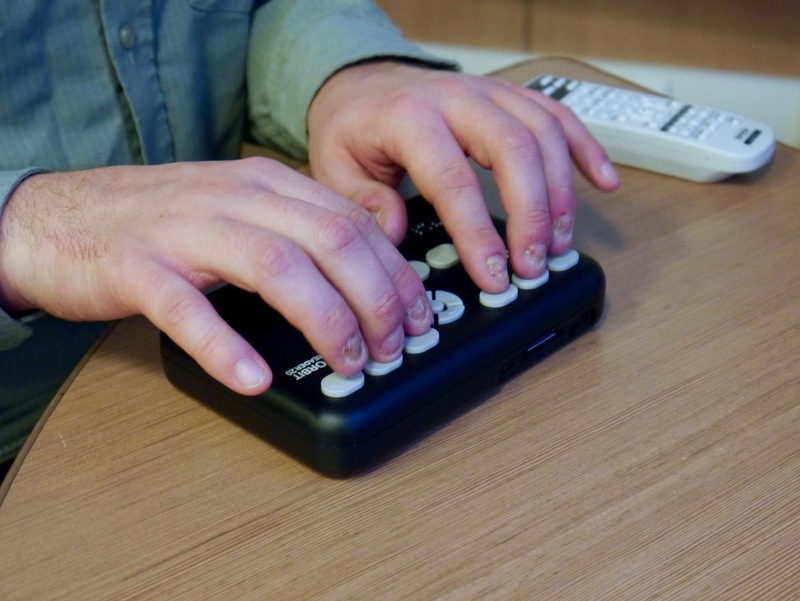 I’ve researched new assistive technologies which have helped aid Braille’s use such as refreshable Braille displays, as well as others that have made learning Braille optional, such as audio books and screen readers. From the meeting, I have been able to find enough participants to interview face-to-face, which is really good news in terms of writing the next chapter in my dissertation and being able to represent the views and experiences of real people in my research. After my talk, there was the chance to look at two new Braille technologies. One of which was the Orbit 20 reader, demonstrated by Jen Bottom, the organiser of the event, which released in October of this year. It is a refreshable Braille display, and works by connecting to a phone or other device over Bluetooth. 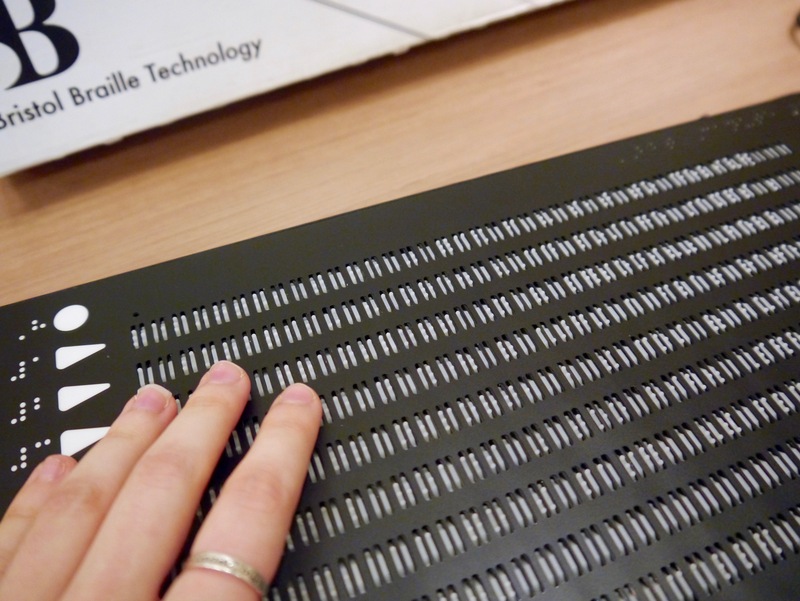 The display then presents the text by updating the Braille cells. The Orbit 20 reader in use. Before the release of the Orbit 20 reader, refreshable Braille displays were expensive, retailing from £1,500 up to £10,000. This meant that this technology was not accessible for the majority of people who would want to use one. 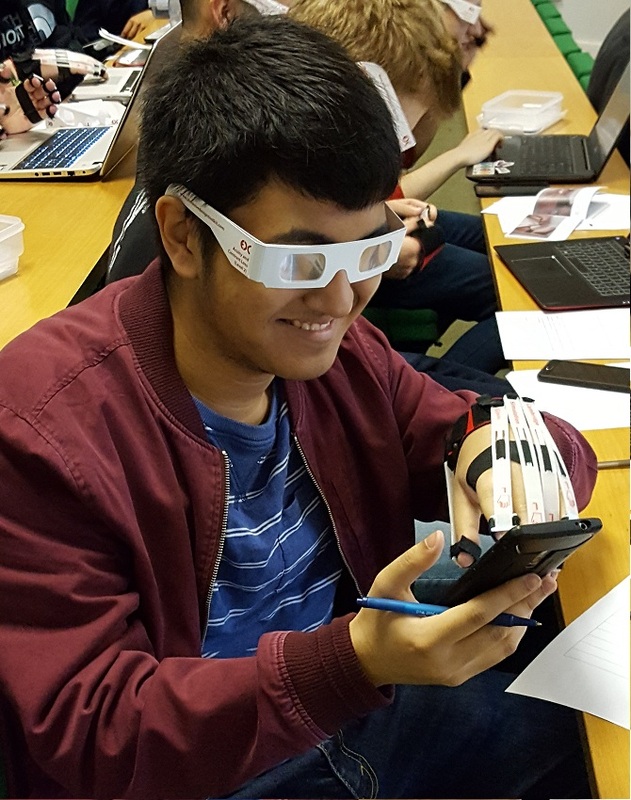 The Orbit 20 reader, retailing at £450, allows for many more people in the Braille community to have access to this technology, allowing for resources to be accessed and shared more widely. As well as this, a prototype of the Canute 360 was demonstratedby Stephanie Sergeant from Vision Through Sound. This will be the world’s first multi-line digital e-reader. It was interesting to see the differences between these two pieces of technology with the same purpose, as the Canute was around 6 times the size of the Orbit 20 reader. One of the Braillists at the meeting, Matthew Horspool, had been kind enough to bring some Braille material for me to look at. 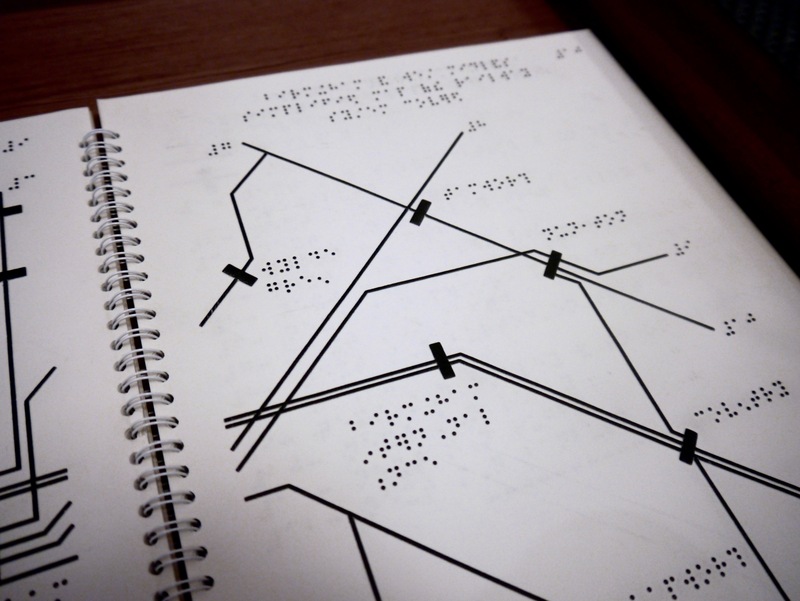 This included railway maps, a user guide on how to use Windows 7, alongside other examples of Braille which had been produced in different ways. 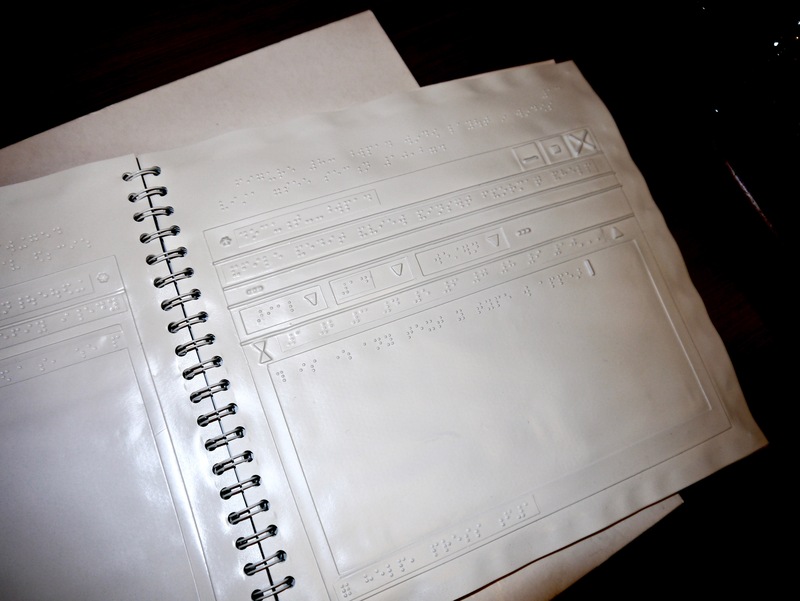 He explained that the method used to create the Windows 7 book was vacuum forming. The layout had to be created from a heat resistant raised surface such as wood, before being placed in a vacuum former. A vacuum then forces heated plastic around the form. This is one of the older methods of producing raised surfaces, but worked well when showing the whole desktop, allowing for the user to visualise what was on screen. 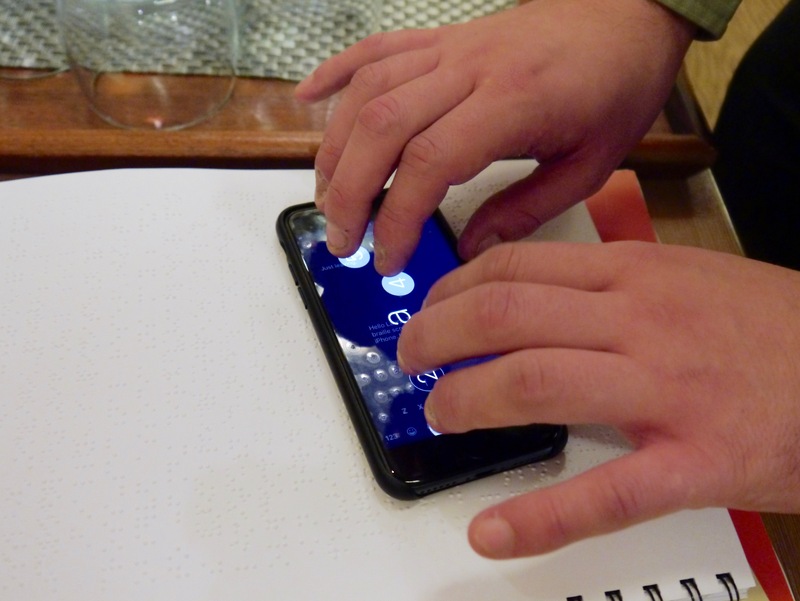 He also showed me the iPhone’s use of a Braille keyboard, and how apps could help a person with visual impairments navigate around the device. 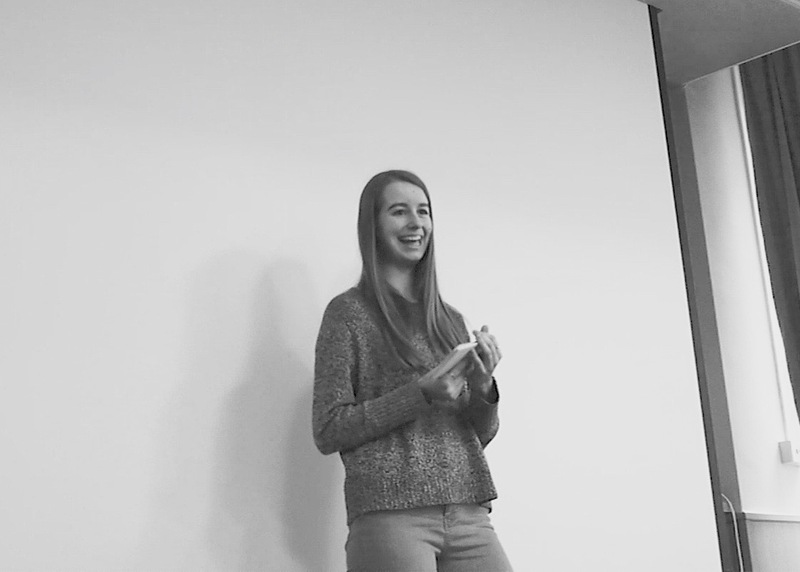 The meeting was incredibly inspiring, as well as helping me understand why Braille is so important to many people. Despite my initial nerves, the presentation went well and turned into a discussion. This discussion, as well as the live technology demonstrations gave me some really interesting background knowledge which will aid in writing the rest of my dissertation. I look forward to meeting some of these people again in the New Year when I carry out my face-to-face interviews. 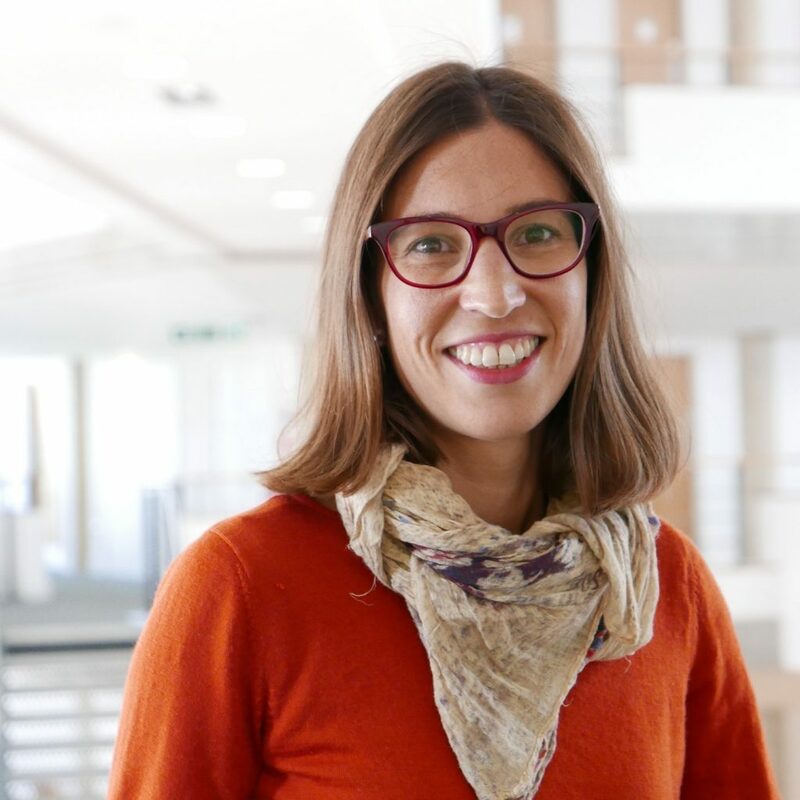 Note: Laura’s research is supervised by Dr Jeanne-Louise Moys. 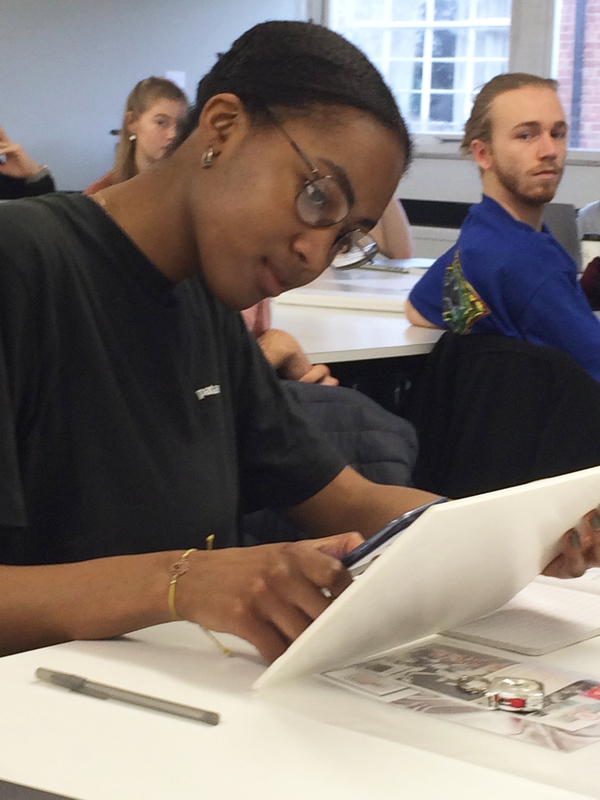 This week, Part 2 Graphic Communication students completed the inclusive design component of their integrated design modules. Building on the series of workshops we did earlier in the term and relevant readings, on Monday, students presented seminar papers to their peers on particular aspects of inclusive design.